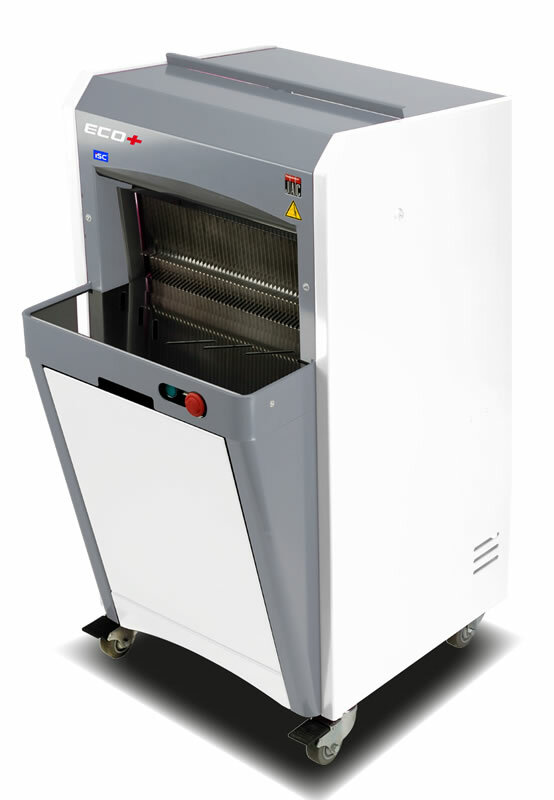 A classic design with a new twist, the ECO+ Rear Load Bread Slicer has been redesign to include modern safety features while keeping with the old school reliability. We’ve added noise reducing construction and increased the sturdiness to make it easier to use and almost completely quiet. 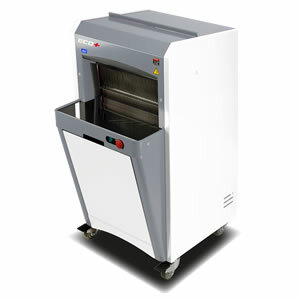 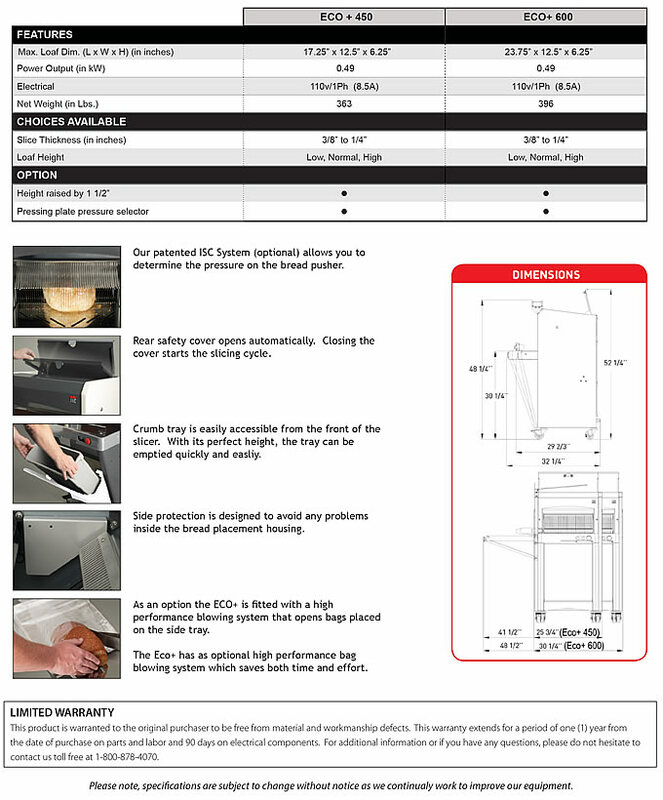 Also available an on-going automatic management system that slices your bread based on its consistency, a patented system known as the ISC System.